Advocis Greater Vancouver is pleased to offer two outstanding education streams in 2008 designed to support the unique continuing education needs of advisors in the financial services industry. Through a series of Advocis Best Practices workshops facilitated by local board members, this course provides a venue to share ideas and focus on the growth of your own practice, while capitalizing on the ideas of your peers around the table. 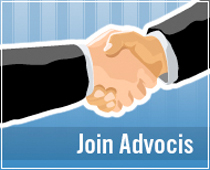 In November 2006, Advocis launched a new web-based platform with revised and updated content for its industry-leading Best Practices Manual (BPM). New features help advisors turn industry codes including the Advocis Code of Professional Conduct, standards and ethics into practical and profitable best practices, regardless of practice discipline. The innovative web-based portal allows Advocis members to easily access, search and use the most comprehensive, up-to-date and practical best practices content available.